Jon brings a varied teaching and performance background to his students and colleagues. An honors graduate in music education from Wichita State University and former school music director, he is a professional guitarist/vocalist providing instruction for children, teens and adults. Jon is familiar with many musical styles but specializes in rock, country, finger style, sight reading, solo guitar and music theory. 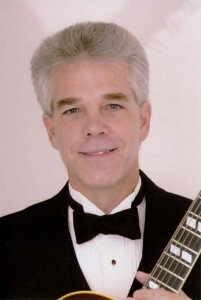 Jon has been a cruise ship musician, toured with different bands, performed in Broadway/Las Vegas – style shows, jazz big bands, music theatre and has backed various headliners. Jon resides in Atlanta GA teaching and working on group and solo projects.